Cancer Research UK scientists at the University of Southampton are seeing positive results in a pre-clinical trial that could bring treatments for a particular aggressive form of childhood cancer closer to reality. Researchers in the Antibody and Vaccine Group have developed two monoclonal antibodies (mAbs) called anti-4-1BB and anti-CD40 and investigated a third called anti-CTLA-4. Each of these antibodies binds to a different target molecule in the immune system, potentially heightening the body’s own immune response to cancer. Published in the July edition of Clinical Cancer Research, the study has shown that the antibodies boost the immune system to fight neuroblastoma - a form of childhood cancer which grows from undeveloped tissue of the nervous system. They found that 40 to 60 per cent of the tumours treated with the stimulatory antibodies regressed in the laboratory models and ensured long-term survival. With more aggressive tumours, the antibodies alone did not significantly slow tumour growth, however, when the researchers paired one of the monoclonal antibodies with a cancer vaccine called Survivin a similar survival benefit was seen. Dr Juliet Gray, Senior Lecturer in Paediatric Oncology and Cancer Research UK scientist at the University of Southampton, comments: “Although this work is still at a pre-clinical stage, we hope it has enabled us to identify a way that we can provide effective immunotherapy treatment against neuroblastoma. More research is needed to understand how these antibodies work and how they should be used to treat neuroblastoma. The body’s immune response is generally much weaker to cancer than it is to infections, and in most cases it does not stop tumours from growing. The body holds anti-cancer cells called T-cells, but cancer has the ability to switch off or subdue the immune recognition in these cells. The antibodies are engineered to wake the T-cells up from their slumber and thereby restore the anti-cancer activity to attack the tumour. This process is already being used in adult trials for a range of cancers including skin, head and neck and pancreatic cancer. This pre-clinical data will allow Dr Gray and her team to design the first peadiatric clinical trials. Cancer Research UK scientist, Professor Martin Glennie, Head of the Cancer Sciences at the University of Southampton, who also worked on the study, says: “We very much hope these results will enable us to develop a pioneering immunotherapy treatment for a childhood cancer. In theory this approach enables us to kill cancer cells without damaging healthy cells, resulting in fewer toxic side effects such as hair loss, nausea and tiredness. 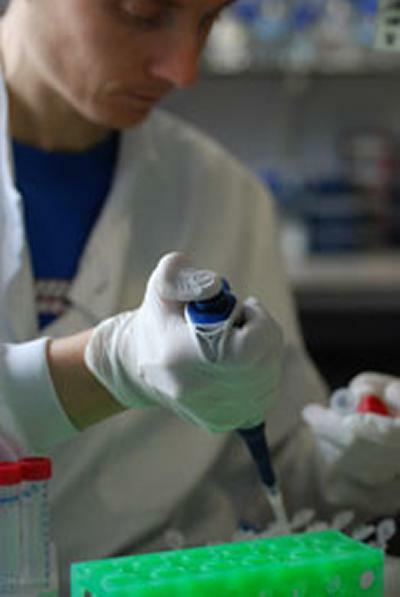 The study was funded by Cancer Research UK, Wessex Cancer Trust, and Wessex Medical Research.